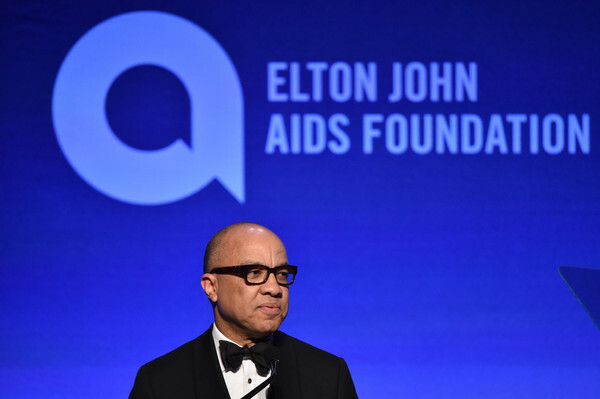 President of the Ford Foundation, Darren Walker, speaks at an Elton John AIDS Foundation event in November 2015. Summary: The Ford Foundation, which long ago abandoned the conservatism of its benefactor, is trying to help the Left seize control of the U.S. Supreme Court. The goal is to enact a radical checklist of social change by promoting novel interpretations of the Constitution. The Ford Foundation has long sought to use its vast financial resources to reshape the legal landscape. But until recently it has focused on influencing various left-wing nonprofit law firms and indoctrinating the nation’s law students. (See Foundation Watch, July 2013). After the sudden death of Supreme Court Associate Justice Antonin Scalia on February 13, however, the foundation now has the chance to have a far more direct impact on the nation’s jurisprudence. Thanks to many Ford allies, the pressure campaign to replace Justice Scalia with a left-wing jurist was immediately well underway. The nation’s fifth largest philanthropy (2014 assets: $12.4 billion) now wants to do whatever it can to tilt the high court majority to the left in order to redefine American law and policy for generations to come. An analysis by NewsBusters found that since 2003, the Ford Foundation and George Soros-aligned groups have given at least $50 million to left-wing legal organizations that are now trying to push the Republican-controlled Senate to confirm Judge Merrick Garland, President Obama’s Supreme Court nominee. The Ford Foundation contributed a large chunk—$28 million—of the total (NewsBusters, Feb. 22, 2016). Over the last decade these organizations were heavily involved in Supreme Court confirmation battles: first in trying to block the nominations of George W. Bush’s appointees, Chief Justice John Roberts and Justice Samuel Alito; then advocating for the confirmation of Obama’s high court appointees Sonia Sotomayor and Elena Kagan. According to the FoundationSearch database, the Ford Foundation has given $11.9 million (since 2003) to the Leadership Conference on Civil and Human Rights; $4.6 million (since 2000) to the Alliance for Justice, and almost $722,000 (since 2000) to People for the American Way, which pioneered the ugly practice of “borking” Republican nominees to the high court (the term refers to the campaign of slander waged against the distinguished Judge Robert Bork after Reagan nominated him in 1987). While Justice Scalia’s body was still warm, these organizations, along with the Soros-backed American Bridge 21st Century political action committee, all carried out a public relations campaign with a near identical theme. Each sent email blasts to supporters slamming the Senate Republicans as “obstructionists” for not quickly confirming Obama’s choice to replace Scalia. The Republicans replied that they thought it preferable not to consider a nomination during an election year and instead to allow the American people to help choose the next justice by deferring the next nomination until the people’s choice for a new president was in office. Left-wingers rejoined by pointing to the election-year confirmation of Justice Anthony Kennedy. President Ronald Reagan nominated Kennedy in late 1987 after Nixon appointee Lewis F. Powell Jr., a Democrat by partisan affiliation, announced his retirement in June 1987, 17 months before the next election. Kennedy was confirmed by the Senate on Feb. 4, 1988. Henderson’s talking points are similar to what has been used by the White House on the Merrick Garland nomination, repeating the name of Anthony Kennedy over and over again but leaving out important contextual details. But it is not a fair comparison. After Powell announced his retirement, Reagan’s first two proposed replacements went down in flames in the face of Democratic opposition. Robert Bork, nominated July 1, 1987, 16 months before the next election, was rejected by the Senate on Oct. 23 after one of the most bilious confirmation battles in the nation’s two centuries of history. Judge Douglas Ginsburg, nominated Oct. 29, 1987, pulled out a week later when his past marijuana use was revealed. Kennedy’s confirmation did not shift the ideological balance of the high court. Kennedy, a judicial moderate, simply replaced Powell, another moderate, preserving the ideological status quo. anti-freedom 5 to 4 votes. Few organizations have done more to fund this fundamental transformation than the Ford Foundation. Now Ford and its far-left allies see an opportunity, and to give them credit, they have been preparing for just such a chance to carry out a massive overhaul of American society. For example, the Alliance for Justice, which also received $1.825 million from George Soros’s Open Society Institute, had already established something called the Judicial Selection Project before Scalia died (NewsBusters, Discover the Networks). The Alliance’s website states: “If you care about civil liberties, clean air, privacy, reproductive rights, social justice, corporate accountability, equality, and fairness, then you care about our federal courts.” The site ignores the real threat faced by the country from overzealous, unelected judges making law from the bench by asserting that federal judges “protect” Americans from the persons who are actually accountable to voters. This is a silly argument, because no one says or implies that Obama doesn’t have the right to nominate a justice. The Sen-ate, whose only constitutional responsibility with regards to judicial nominees is to provide “advice and consent,” has every right not to consent and has no obligation to hold a hearing. The Ford Foundation began pursuing the goal of changing America’s legal landscape in the 1950s. So-called public interest law, wherein lawyers effectively become lobbyists for the poor in court, arose out of Ford’s efforts to overhaul law school curricula to promote social change. In the next two decades the foundation put more money into “legal action centers” at many law schools to promote the so-called rights revolution. Ford took advantage of the courts’ growing predisposition to promote change by rewriting America’s laws from the bench. Funding organizations with a political agenda used to be novel. During his time at Ford, Bundy was concerned that his own board, and the IRS, could object. He once asked, “What if somebody hassles us about the charitable nature of this?” (Discover the Networks). Even Bundy realized that suing people was not usually understood to be a charitable act. But with the help of Sanford Jaffe, director of the Ford Foundation’s Government and Law Program from 1968 to 1983, Bundy was able to manipulate his board members as well as the Nixon administration’s Treasury Department (which oversees the IRS), using the “expert” reassurances of prominent Establishment lawyers that all was well. And so Ford began large-scale left-wing advocacy through the courts. By throwing lots of money around for legal projects and installing its toadies on nonprofit boards, Ford drove many moderate Latino organizations to hard-left positions. Some of the most influential legal groups that Ford built almost single-handedly include the Mexican American Legal Defense and Educational Fund (MALDEF), National Council of La Raza, and LatinoJustice PRLDEF. While the Ford Foundation has been focused on immigration and refugees since the 1950s, its pivot to open borders took place in the late 1960s, just a few years after immigration reform ushered in the age of chain migration. The Ford Foundation has long sought to give the country a legal transformation by overhauling law schools. Ford helped fund more than 100 law schools in promoting the “rights revolution” that involved pushing court cases on behalf of the “traditionally underrepresented groups” to gain court decisions that would have the effect of creating new “rights”—in most cases, rights for groups rather than for individuals. Ford established centers within law schools where law professors would collaborate with activist attorneys and indoctrinate law students into the fold. Other liberal foundations followed Ford’s lead, but few others put the same financial muscle behind it (Foundation Watch, July 2013). In this case, as far back as the 1950s, Ford began using its grants to change law school curricula to create “social change.” A Ford-sponsored panel said the goal was “developing the social conscience of law students and professors.” As usual, the word social here should be read as code for socialist. Similarly, the foundation launched the Council on Legal Education for Professional Responsibility in 1968 to develop law school clinics, something new at the time. The objective was to take students directly into everyday pro bono legal work, beyond books and lectures—on its face, a worthy goal for any higher education discipline. But there was a darker agenda: Using the schools to provide resources—as well as credibility—to support pro bono work in test cases that would enact left-wing public policy through the courts. Such work, Ford officials knew, was likely to mold the beliefs of the budding legal practitioners. Exposing young law students to sympathetic clients would encourage them to seek “social change” as attorneys. With the carrot of major grants, Ford pushed America’s law schools toward identity politics, using movements such as legal feminism, Critical Race Theory, and others. 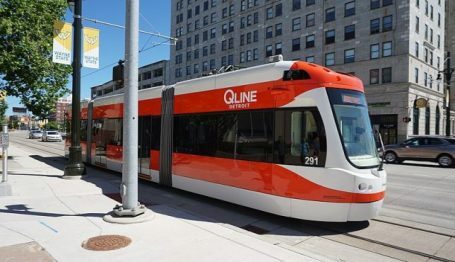 Through university funding, Ford has helped directly finance litigation on behalf of Native American tribes suing over land ownership for cities as large as Syracuse and Denver, and also suing for slavery reparations—among many other high-profile issues. For more than 50 years the Ford Foundation has been working to turn the nation’s law schools into engines of Sixties-style social change. Other large institutional donors like Carnegie, Soros, and MacArthur have followed Ford’s path, and the result can be seen in landmark Supreme Court decisions, the plethora of politicized “legal clinics” on campus, and U.S. courts’ growing willingness to defer to “international law” (Foundation Watch, July 2013). That’s quite impressive for an organization chartered with a gift of just $25,000 from Edsel Ford in 1936, the only son of Ford Motor Co. founder Henry Ford. 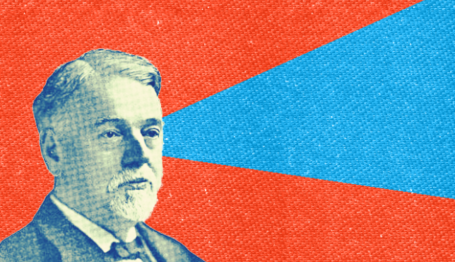 The initial goal of the organization was “to receive and administer funds for scientific, education purposes, for the public welfare,” according to the philanthropy’s website. In its early years, the Ford Foundation operated in Michigan under the direction of the Ford family. After Henry Ford’s death in 1947, Edsel’s son, Henry Ford II joined the foundation’s board and became its chairman. The younger Ford ordered the drafting of a long-term action plan for the foundation. It came in 1949 in the form of the Gaither Study Committee report, which recommended the foundation become an international philanthropy. The document stated that grants should go to causes that “promise significant contributions to world peace and the establishment of a world order of law and justice”; that “secure greater allegiance to the basic principles of freedom and democracy in the solution of the insistent problems of an ever-changing society”; that “advance the economic well-being of people everywhere and improve economic institutions for the better realization of democratic goals”; that “strengthen, expand and improve educational facilities and methods to enable individuals to realize more fully their intellectual, civic and spiritual potential; to promote greater equality of educational opportunity; and to conserve and increase knowledge and enrich our culture”; and that “increase knowledge of factors that influence or determine human conduct, and extend such knowledge for the maximum benefit of individuals and society” (Ford Foundation, Discover the Networks). With liberal Republican Paul Hoffman at the helm, the foundation moved its headquarters to New York in 1953. In 1966, McGeorge Bundy—who had served as National Security Advisor for Presidents John F. Kennedy and Lyndon B. Johnson—became the foundation’s president. Bundy, another liberal Republican, had initially supported military intervention in Vietnam but later regretted it and moved farther left politically. Like many veterans of the Kennedy administration, Bundy loathed President Richard Nixon. Bundy pushed to expand the welfare state, supported militant groups such as the Black Panthers, and other causes dear to radicals. Under Bundy, the Ford Foundation launched a new style of politicized giving and became a radical force in American life. […] The politicized grants continued after that, as the Ford Foundation, particularly du-ing the Nixon years, came to see itself as a government-in-exile, an engine for social transformation. Bundy transformed the Foundation into a leading sponsor of left-wing causes such as the expansion of the welfare state, nuclear disarmament, environmental advocacy, and the creation of “civil rights” interest groups that emphasized ethnic identity and ethnic power, or “multiculturalism,” over integration and assimilation into the American culture. Ford gave as much as $300 million per year throughout the 1960s to support such causes. 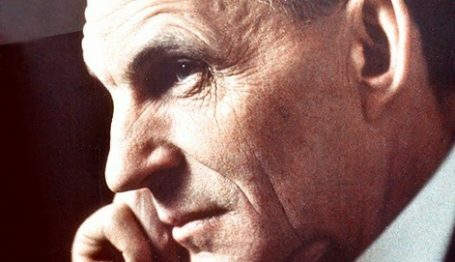 Henry Ford II wasn’t staunchly opposed to all of the causes, but he was concerned the group might be leaning in an anti-capitalist direction, which to him seemed unreasonable for an organization named for one of history’s greatest capitalist entrepreneurs and utterly dependent on the wealth his business created. In 1976, the younger Ford resigned from the board, having overseen the transformation of what had been a local foundation in Detroit to an agenda-setting philanthropy with a global focus. The move also severed the remaining connections among the foundation, the Ford family, and Ford Motor Co.
“The Foundation is a creature of capitalism,” he wrote in a public letter when he left, and yet it is hard to find capitalism “in anything the foundation does. It is even more difficult to find an understanding of this in many of the institutions particularly the universities that are the beneficiaries of the foundation’s grant program” (Front-PageMag.com, Jan. 9, 2004). The organization “supported and cultivated” through scholarships, fellowships, exchanges, and professional training 45 Nobel Peace Prize winners, and other notable figures including former United Nations Secretary General Kofi Annan and feminist icon Gloria Steinem. The foundation’s 16-member board is made up of individuals from four continents and includes Cecile Richards, president of Planned Parenthood Federation of America. The foundation’s 10th and current president is Darren Walker. Walker was previously vice president of the Rockefeller Foundation. Before that he practiced international and business law at Cleary, Gottlieb, Steen and Hamilton, and as an attorney for UBS. Walker is a member of the boards of Carnegie Hall, the New York City Ballet, the High Line, and the Arcus Foundation. He is a member of the Council of Foreign Relations and the American Academy of Arts and Sciences. Since 2011, Walker has contributed $5,250 to Democratic candidates, including a $250 contribution to Obama’s 2012 presidential campaign (Center for Responsive Politics). “On his bookshelves were a furry red Elmo; a yellow cow; a shiny blue miniature Jeff Koons puppy; a miniature yellow-and-green rickshaw from Delhi; a miniature red rickshaw from Jakarta; a large framed portrait of his English bulldog, Mary Lou; a small framed portrait of his partner, David Beitzel; and a couple of small gold Buddhas, among many other objects that he’d picked up on his nearly constant travels,” the magazine reported. That year, the Ford Foundation invited 200 universities to compete for grants of $100,000 or more to open African American Studies departments and various other ethnic studies departments. It amounted to a massive bribery program aimed at balkanizing America, but it was certainly a carrot to push grant-hungry colleges to bend their curricula to a diversity focus, not that different from the way Ford influenced law schools. To be eligible for the grants, the universities also had to adhere to Ford’s affirmative action goals in faculty and admissions. Thus, Ford has managed to shape university admission and employment policies through its deep pockets. Later, Ford would almost single-handedly provide the money for the university lawyering needed to defend in the courts the reverse-racist admission policies it had bequeathed to America. A panelist for the Ford Foundation, Wesleyan University psychology professor Robert Steele, said financial coercion, not dialogue, is necessary to achieve the ends of multiculturalism. “People will not be quietly assimilated to multiculturalism by truth through dialogue,” Steele said. “You get research assistants, you give mentoring” (FrontPageMag.com; Jan. 9, 2004). By 1985, Ford had established the Women’s Program Forum, a consortium of grant makers and Ford staffers tasked with directing funding for women’s issues globally. Five years later, the Ford Foundation became the lead funder of the Campus Diversity Initiative. The foundation is also the leading funder of the National Women’s Studies Association, which is based at the University of Maryland (FrontPageMag.com; Feb. 20, 2004). All of these initiatives are designed to change curricula. Today the number of women’s studies programs on university and college campuses has ballooned to more than 800. A group called Funders for LGBTQ Issues found that the Ford Foundation is the second-largest donor in the LGBTQ (lesbian, gay, bisexual, transgender, and queer) area as well, NewsBusters reported (Feb. 29, 2016). In 2014, 313 foundations and corporations made 4,552 LGBTQ grants worth a total of just over $153.2 million—a record. The Ford Foundation followed Soros’s Open Society Foundations as top donor, giving a combined $21.85 million. Ford’s share was $15.3 million. Internationally, the Ford Foundation was the top financier of LGBTQ issues in Sub-Saharan Africa, the Middle East and North Africa, as well as Asia and the Pacific—giving that doubtless won America significant antipathy from many in those lands. The Ford Foundation began financing Just Films in 2011 with $50 million to create documentaries about social inequality. This May, the foundation is promoting the distribution of the documentaries at the Cannes Film Festival (Philanthropy.com, Feb. 2, 2016). Defining inequality might have been a bit of a challenge, but interestingly, the organization decided to scrap LGBTQ rights in America as a priority, because so much has already been achieved in its view. So, the organization shifted its focus to global gender issues, “Internet rights,” and “inclusive capitalism.” In the planning process, there is to be a minimum of four and a maximum of eight thematic areas, each with a budget of $20 million, the New Yorker reports. The Ford Foundation has used its vast sums of money to ensure that individuals become weaker and smaller, while government becomes larger and stronger. The traditional name for this phenomenon is collectivism, not diminishing inequality, and the idea has been Ford’s overriding goal for decades. The progressive Left has invented rights, usually group rights, to expand government power. But the voters, by expressing their will in elections, have frequently thwarted the Left’s plans. Thus courts have always been the Left’s best hope, and it is no wonder the Ford Foundation would use its resources to try to seize control of the Supreme Court, ensuring that the remaining items on its radical checklist can be imposed upon the rest of us. Fred Lucas is a veteran political journalist in Washington.